Great SUV loop through forest north of small town of Divide. 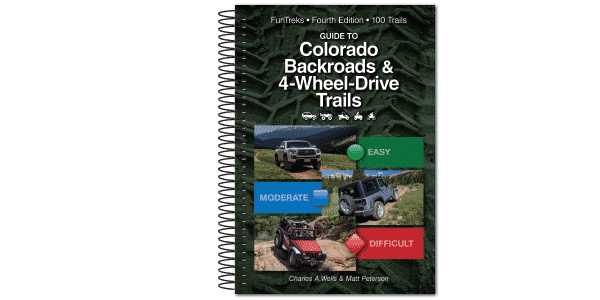 A convenient loop that meanders through forest with views of Pikes Peak and Signal Butte. Northern portion of trail passes through Hayman Burn Area, providing a close-up look at the destruction and Mother Nature’s way of repairing the damage. Lots of dispersed camping along the route. Large parking area at Waypoint 02 provides convenient access to the popular 717 Trail System for unlicensed vehicles. Well marked, this 50″-wide trail wanders extensively throughout the area. Rutted dirt road. Fairly wide except on north end where switchbacks wind tightly downhill. Creek crossing at Waypoint 03 can be deep.